Be the first to share your favorite memory, photo or story of David "Bud". This memorial page is dedicated for family, friends and future generations to celebrate the life of their loved one. David Ray Smith, 78 of Billings, Mt went home to his Father in heaven surrounded by loved ones on Sunday January 27, 2019 after a long struggle with heart disease. David was better known by family and friends as “Bud”. When Bud was a small boy his dad gave him this nickname because he was his dad’s little buddy. Bud was a joy in an uncountable amount of people’s lives. He was born October 6, 1940 in Billings, MT to Raymond D. Smith and Alvina Weideman of Custer, MT. He is the oldest of 4 children. Bud spent most of his childhood on farms and ranches in the surrounding areas of Billings, Mt. He attended Senior High School during his teenage years, but later received his High School Equivalency Certificate instead in November 1960. 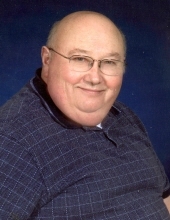 He attended Eastern Montana College and graduated in May of 1972 with a Bachelor of Science degree. Bud enlisted in the military in 1957, where he took his basic combat training in Fort Carson, Colorado. He received 1st place as an expert marksman. He was then stationed in Frankfurt, Germany in 1958 until April 1960. Although he did not go to war, he enjoyed his time in the military serving his country fixing the military jeeps. When he was there Elvis Presley was enlisted in the military as well and Bud had a chance to fix Elvis’s jeep, take a couple photos with him and visit with him. David R. Smith and Janice M. Bruski were married at St Bernards in the Catholic church on March 22, 1975. Together, Bud and Janice raised three hard working independent children. Bud’s career was with Farmers Insurance starting in 1971. He then became a district manager in 1976 for the entire Salt Lake City, Utah area. Bud and Jan moved back to Billings in 1982 where he continued his Farmer Insurance career that he retired from in 1995. During the transition from Farmers Insurance his career then led him to work for the United States Post Office full time, from 1990 till he retired from USPS as a Post Master in 2012. Bud lead a fun, full, hard working life which included: boxing, motorcycles, reading books, camping, boating, hunting, fishing, polka dancing, family time together, playing games and especially making people laugh, telling jokes and teasing. He has numerous awards from the Insurance agency, USPS and the Knights of Columbus. Bud was a dedicated Catholic, a Eucharistic minister and joined the Knights of Columbus on August 9, 1977 and then became a Fourth Degree member until his death. He is survived by his loving wife, Janice Smith and their loving children, Carole Ann Polanchek of Tempe AZ, David C.R. Smith (Julie) of Gilbert, AZ, Elizabeth (David) Brock of Huntley, MT, 9 grandchildren, and 6 great grandchildren, his sisters, Carol (Donald) Critelli, Bonnie (David) Booth, his sisters-in-law Pauline White, Marguerite Sommerfeld, Maisie Bruski and numerous wonderful nieces, nephews and cousins. Bud was preceded in death by his parents Raymond and Alvina Smith, his brother Michael Smith, his brothers-in-law Leonard Bruski, Lawrence Bruski, Alfred White, and Robert Sommerfeld. The burial of ashes will be in the spring time at St. Phillip, MT, time unknown. Announcement will be made when we have more information. To send flowers or a remembrance gift to the family of David "Bud" Ray Smith, please visit our Tribute Store. "Email Address" would like to share the life celebration of David "Bud" Ray Smith. Click on the "link" to go to share a favorite memory or leave a condolence message for the family.